Montgomery, Crissman, Montgomery, Kubit LLP is a full-service, general practice law firm located in Butler, Pennsylvania. We have long provided clients throughout Western Pennsylvania with sound legal representation. Our attorneys continue a tradition of overcoming legal challenges with knowledge, skill, expertise and professionalism. At Montgomery, Crissman, Montgomery, Kubit LLP, our attorneys are dedicated to maintaining and expanding their knowledge in their respective areas of practice. The firm's diverse practice is rooted in its vast experience on both sides of the courtroom. Versatility is our greatest asset. Being able to handle cases on behalf of both plaintiffs and defendants gives our firm tremendous perspective and allows us to develop creative and effective solutions to overcome the most challenging legal problems. Our results are directly related to our unmatched preparation. Nobody goes to court more prepared than us. Regardless of your legal issue, we ensure that you know your legal rights and are fully protected. When our clients' case is concluded, we want them to feel that they have been treated with dignity and respect. We want our clients to feel like they are always well taken care of. Montgomery, Crissman, Montgomery, Kubit LLP regularly handles: -Civil litigation -Personal injury -Wrongful death -Divorce, Custody, Support -Workers compensation -Zoning and Land Use -Oil and Gas Leases -Title Searches and Insurance -Business Law -Wills, trusts and estate planning -Estate and Trust Administration -Automobile and Motorcycle Accidents -Powers of Attorney -Guardianship -Construction Accidents -Defective Products / Product Liability -Work Accidents -Residential and Commercial Real Estate -Property Disputes -Slip-and-fall accidents Quality client service From individuals to businesses, our diverse clientele come from all walks of life, but they all expect the same thing: quality representation. Our Attorneys are honest and treat our clients with the respect and the personalized attention that their case deserves. Dedicated attorneys assertively pursuing your interests Personal injuries can happen on the road, at work, or even at home, often with devastating consequences. When you are injured due to somebody else's negligence, you may be entitled to compensation for your past and future medical bills, lost income, pain and suffering, disability, disfigurement, loss of the pleasures of life, and emotional distress. You need an experienced and aggressive attorney to fight for your rights, to go head-to-head with the insurance companies, and to recover the fair and full compensation that you deserve. Representing Injured Parties At Montgomery, Crissman, Montgomery, Kubit, LLP we have a strong track record of achieving exceptional results for our clients. We employ an assertive, methodical approach to help injured victims recover generous settlements and jury verdicts. Thorough investigation of the accident and meticulous preparation are what you can come to expect in your case. We consult with your medical providers as well as outside experts to deliver to put forth the best evidence possible to not only help you win your case, but also to get the biggest recovery available. Montgomery, Crissman, Montgomery, Kubit, LLP represents people injured in a variety of ways including: -Automobile accidents -Motorcycle accidents -Defective products -Slip and fall accidents -Workplace accidents -Construction accidents We Know How Insurance Companies Think Our attorneys all have had years of experience in successfully representing insurance companies when their drivers, property owners, and businesses were sued for causing personal injuries, deaths, and property damage. We know how insurance companies think. We understand how they value your claim and how they defend lawsuits. We use this insightful knowledge to our clients advantage. You can experience in the courtroom will help through the process with minimal stress, and help you establish liability and maximize your recovery. Mr. Crissman is BV Distinguished Peer Review Rated by Martindale-Hubbell for his professionalism and ethics. David A. Crissman, Esquire was born July 14, 1959 in Kittanning, Pennsylvania. He graduated from the University of Pittsburgh in 1981 and received a Juris Doctorate Degree from the University of Pittsburgh School of Law in 1984. Mr. Crissman was admitted to the Pennsylvania Bar in 1984 and has maintained an office in Butler, Pennsylvania since that time. He is a member of the Butler County and Pennsylvania Bar Associations. He served as President of the Butler County Bar Association and as Solicitor to the Butler County District Justices and the Center Township Zoning Hearing Board. 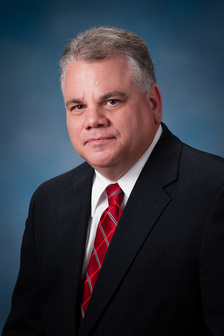 He has been appointed by the Court to Chair a Tax Assessment Appeal Boards, and has acted as special counsel to local Butler Area School Districts in expulsion and employee discipline matters, and to local municipalities in zoning and land use matters. Mr. Crissman's practice includes a concentration in civil litigation, real estate, Wills, Trusts, estate administration, and business law. In addition to representing plaintiffs and defendants in personal injury, property damage, breach of contract, tort and family law cases, he also represents claimants before various administrative agencies. Lately, he has worked extensively with Oil & Gas Leases and on related issues such as Right-of-Way Agreements. Mr. Crissman regularly appears before Courts throughout Western Pennsylvania.